When there’s no sign of any payroll problems, everyone, including upper management and executives, assumes that things are working just fine. But just because things seem fine doesn’t always mean they are. The sad truth is that often, major, hard-to-repair payroll issues have to happen before companies realize just how deep their payroll issues really go. 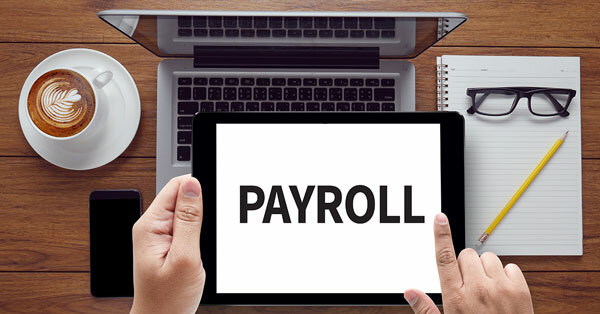 In fact, a recent study by Nucleus Research showed that payroll errors averaged nearly 1.2 percent of total payroll costs. Payroll issues are usually only brought to someone’s attention when there is a very large error, such as an overpayment of more than $20,000, or a tax audit because the company failed to pay something correctly. Audit findings are another common place where you can catch mistakes. By the time most of these incredibly detrimental issues come to light, it’s too late for any prevention—they are already a catastrophe. When payroll processes aren’t flowing smoothly or aren’t in compliance, the signs will eventually show themselves. It’s a ticking time bomb, and when it goes off, the results can be exponentially more expensive than any overpayments and fines. Once you discover these problems, you must look into what went wrong, and then—of course—fix it. It takes resources and time to find the root of these problems. The process of fixing payroll problems often requires sifting through large amounts of archival information until you find where the issue started. Then you must take the measures required to fix the issues and prevent them from happening again. There are also the financial ramifications. Overpayments must be collected and underpaid tax amounts must be determined and paid, along with penalties and potential fines. And those are just the tip of the iceberg. With all that’s at stake, it’s important to take these potential mistakes seriously and work to actively prevent them and catch them early. Running regular reports to catch any inconsistencies can be a great way to catch trends and things that are outside of the norm. Reports may not catch every type of error, but they can flag trends and issues that may warrant further investigation. Comparing one payroll to the next, balancing all wage buckets to ensure proper tax handling, independent 401(K) deferral and match amount calculations are all examples of reports that can flag a systemic issue. It is best that these reports are run by someone other than those involved in everyday payroll activities, such as a third party consulting partner or someone from management. Internal audits done at regular intervals will be helpful for prevention as well. This can include either internal or external auditors conducting a periodic audit of your payroll function to verify basic things like correct payroll payment calculation and proper time recording, just to name a few. These audits can be time-consuming, detailed, and often there are not enough resources to continue meeting payroll deadlines while also performing these audits. A helpful solution is to partner with an experienced external payroll audit consulting firm that can help you to accurately execute these preventative measures without thinning your resources. Most often, senior management never becomes aware of payroll issues until something major comes to light, and then they realize that they need to hire outside help to come in and find out what has gone wrong. This is another reason why working with an experienced payroll consulting partner can work to your best advantage because it allows you to get expert advice, pull from outside resources, and set up a plan to prevent major issues from happening in the future.